Here are a range of positive comments from former family mediation clients from around the country. The services who provided the quotes are not being listed publicly, to help preserve the anonymity of the clients, but we are extremely grateful to the mediators who shared their positive comments. The following quotes are all from real clients who wanted to let their FMA mediators know what family mediation was like for them – with thanks to the services who shared their positive comments with us. 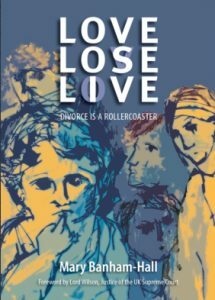 Here are links to readings from Mary Banham Hall's novel Love, Lose, Live. Today’s theme is ‘Put the Children First’, focusing on the importance of placing the children’s interests at the centre of the discussions and on the special role that mediators play in helping families to do that. Our video today is a powerful animation created by family mediator Scott Docherty, in support of his book, 'How to Talk to your Kids about Separation’. "I wish my parents had known about family mediation"
John Taylor, Chair Family Mediation Council, explains why we al need to get the message about Mediation out and discussed.